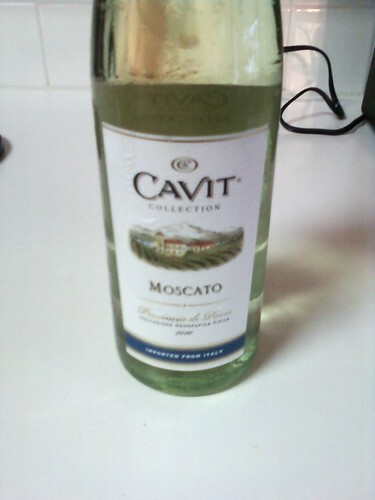 An imported Moscato offered by Italy's Cavit Winery. White Wine Wino picked this one while grocery shopping. Having an affinity for white wines, especially Moscatos, the White Wine Wino easily gave it a thumbs up. 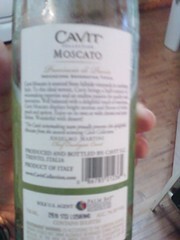 Since we could not agree on purchasing it again,.... this Moscato gets a "Neutral" rating. 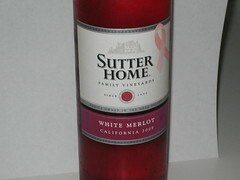 Another round of Sutter Home's White Merlot! White Wino still likes it; Red Wino still agrees! Rating: "Good"... will purchase again! Offering from the Asti Winery in California.... Label says, "Seductive, earthy notes with hints of spice, open up to juicy strawberry jam flavors." 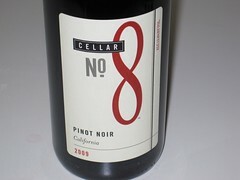 The two Winos describe it in more simple terms, "Good wine, will buy it again!" The Red Wine Wino was running errands and grocery shopping for some essentials. While at the store, noticed this one on the shelf and bought it on a whim. A few days later noticed the bottle was missing from the wine rack. White Wine Wino had decided to have a glass (or two). Good thing was able to try this one before it was all gone!